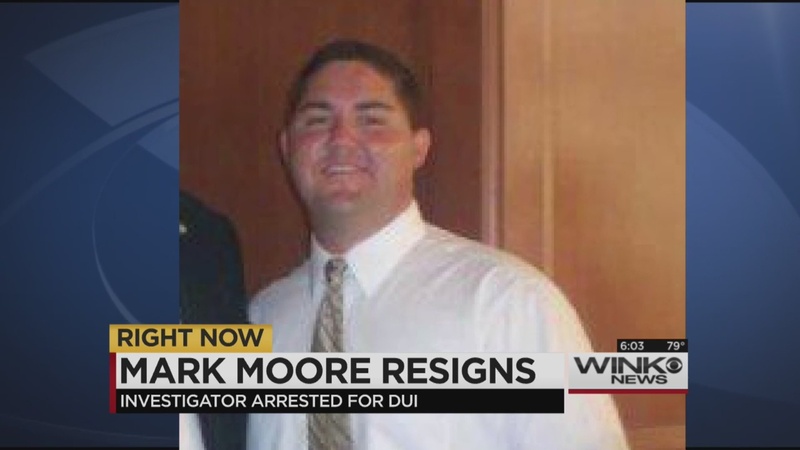 LEE COUNTY, Fla.- A State Attorney’s Office investigator arrested for DUI over the weekend has resigned. Officers tell WINK News Mark Moore crashed his car Saturday night near Skyline Boulevard and Cape Coral Parkway. The other driver involved in the accident was seriously injured. Moore’s case is being handled by a Sarasota court.